That Holiday Cheer Can Go the Wrong Way On Our Roads Drunk Driving. Over the Limit. Under Arrest. As party-goers celebrate the holidays with friends and family, everyone should heed Martinez Police Department’s warning to keep the party off the road or be ready to face the consequences. Law Enforcement will be out in force beginning December 17th through the New Year’s weekend cracking down on anyone caught drunk or drugged behind the wheel. The Martinez Police Department said parents should take note that young males are at particularly high risk, with nearly one-quarter admitting to riding with someone who should not have been behind the wheel in the past year.  And remember, Friends Don’t Let Friends Drive Drunk. 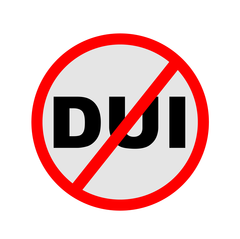 For more information on local and statewide Avoid DUI Task Force Campaign Enforcement Schedules and Daily DUI Arrest/Fatal Stats, visit the www.californiaavoid.org. The Program is funded by the California Office of Traffic Safety who reminds everyone to please – Report Drunk Driving – Call 9-1-1!